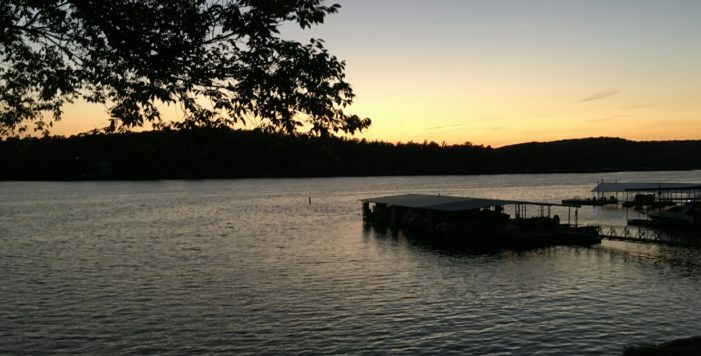 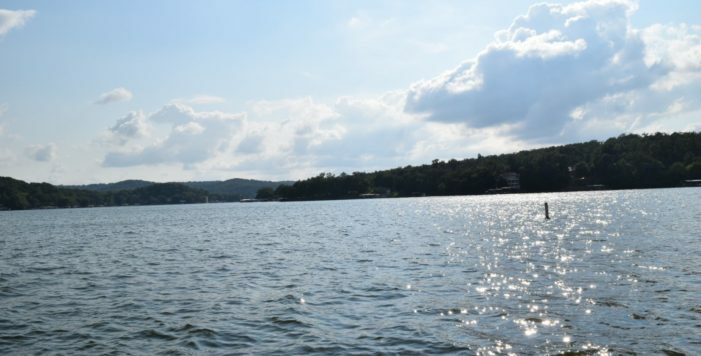 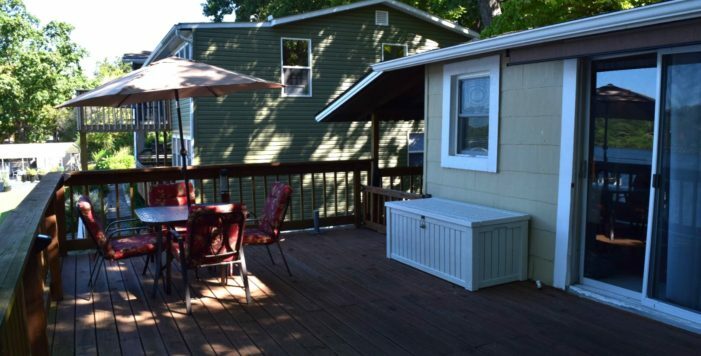 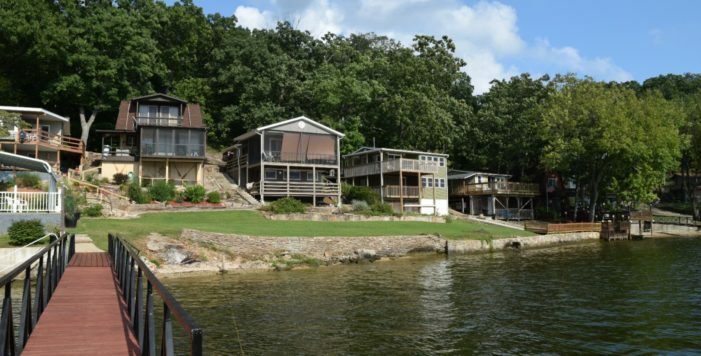 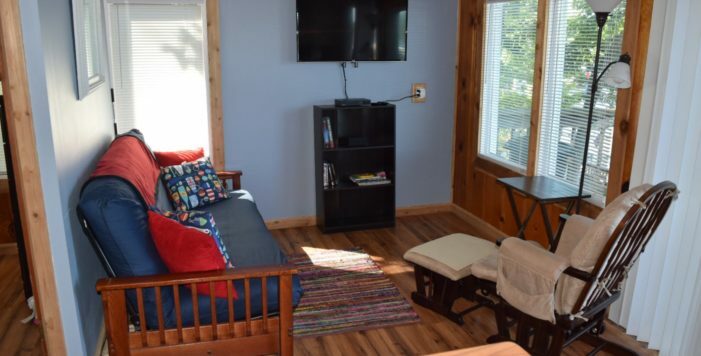 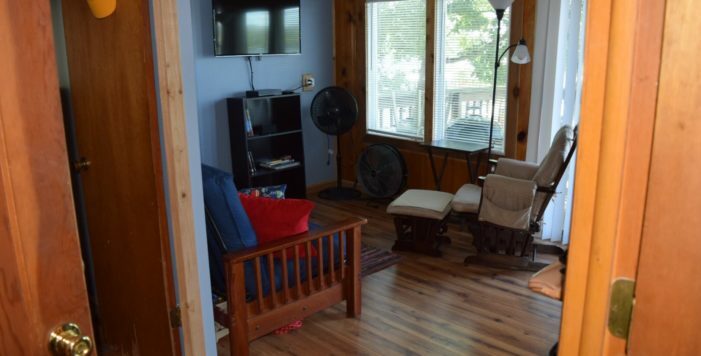 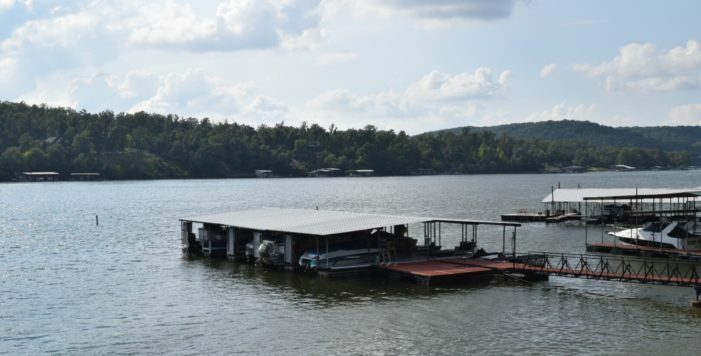 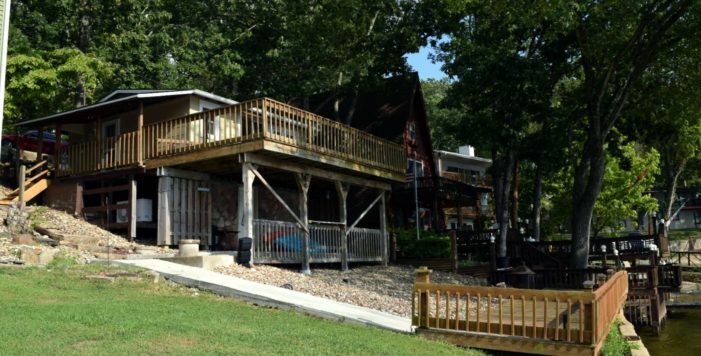 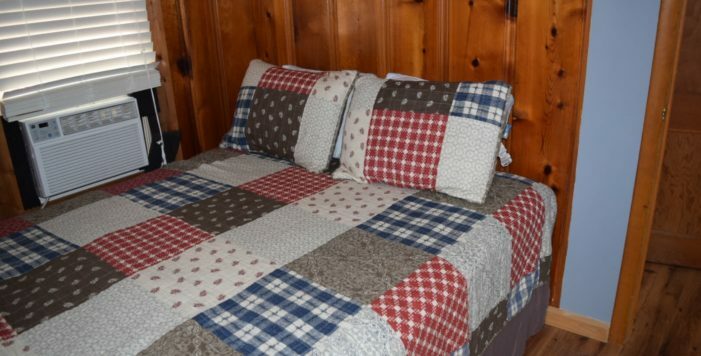 Immaculate & cozy lakefront cabin with huge views of the Little Niangua would be a great weekend retreat or starter home. 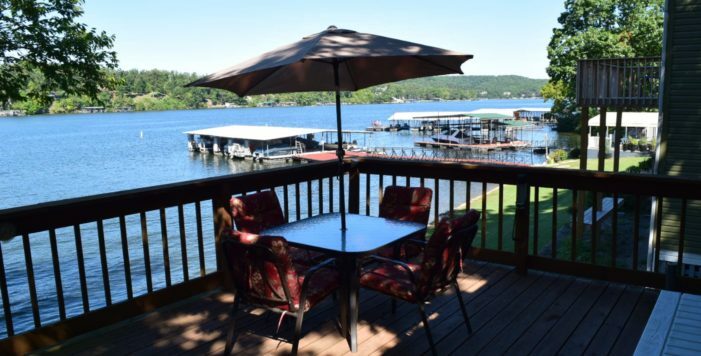 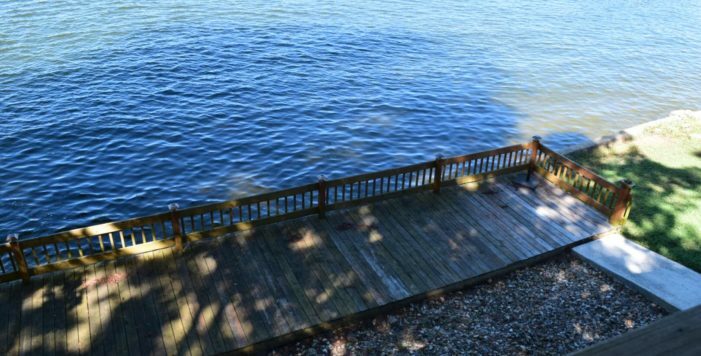 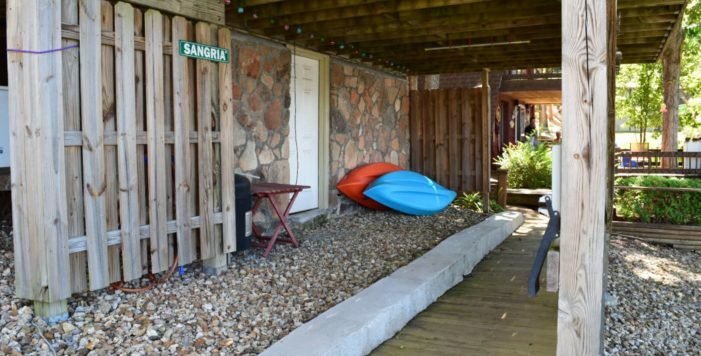 Just steps to lakefront, you can fish off the martini deck or relax outside on the large lakefront deck with mature trees & afternoon shade. 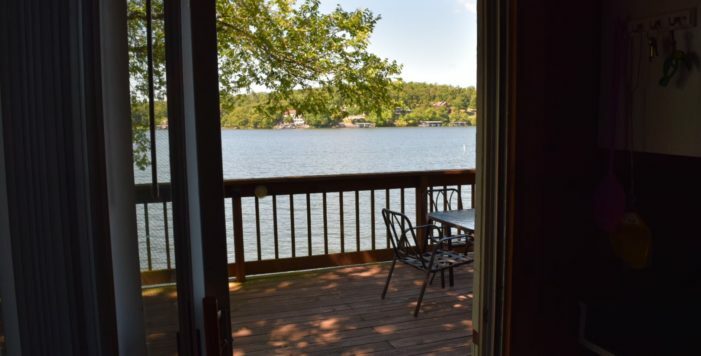 Low maintenance landscaping, beautiful interior with knotty pine, wood flooring, lakeside slider, nice finishes & cute kitchen w/breakfast bar. 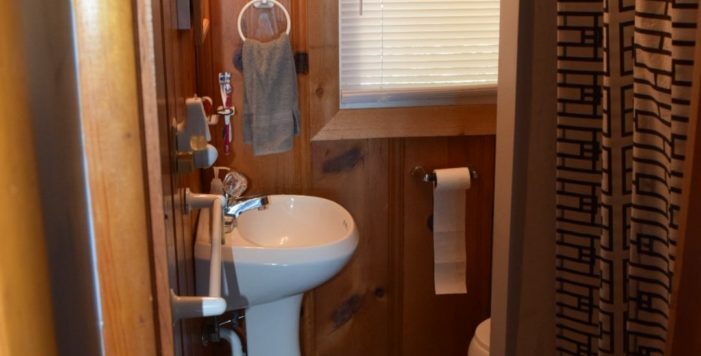 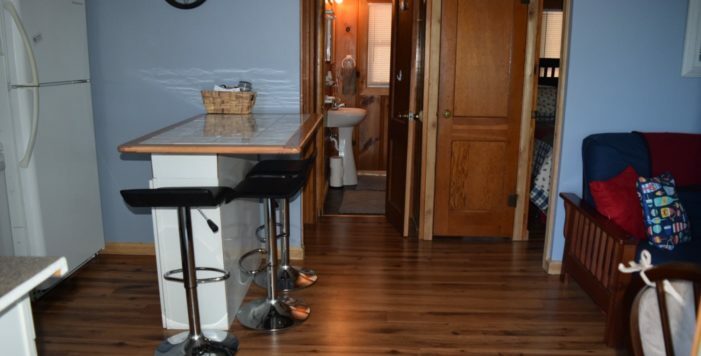 Two bedrooms, recently updated bathroom – new floor, sink, shower & toilet. 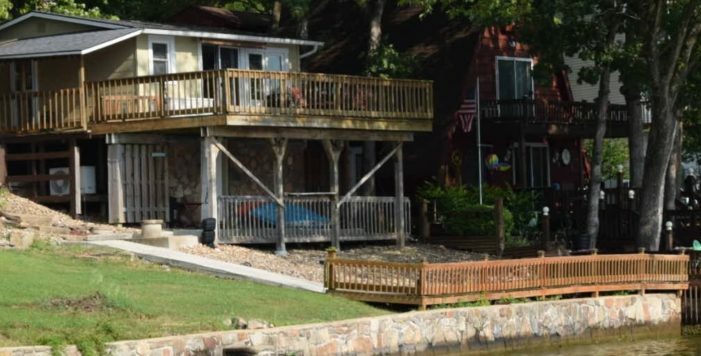 Gated side deck, 10x20 slip in community dock close by. 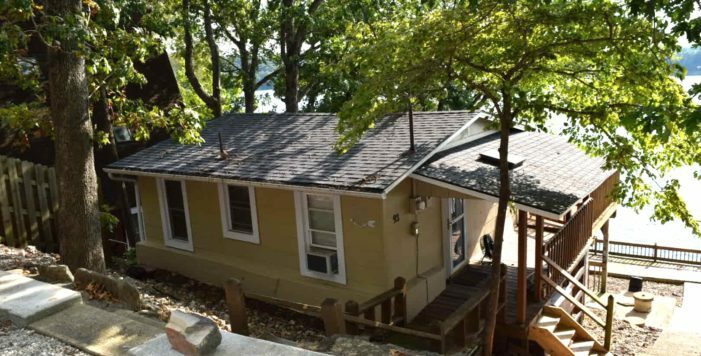 Storage underneath cabin, concrete walkway to lakefront. 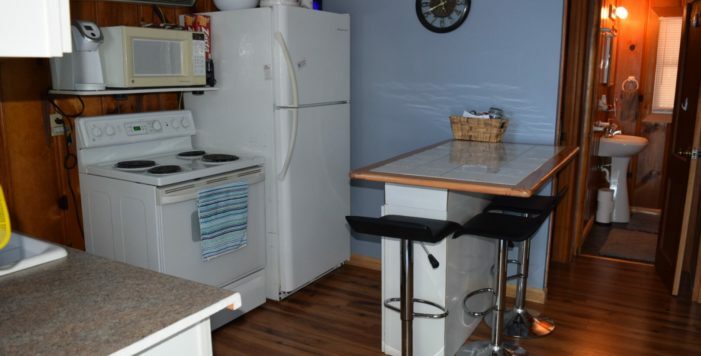 Owner states the Water heater is 3 years old & Roof is 5 years old. 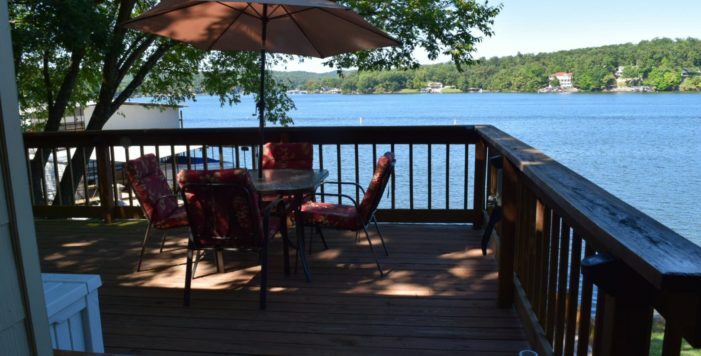 Great location by road or water, close to restaurants & shopping.